Lung cancer, also known as pulmonary carcinoma, refers to the medical condition marked by the development of a malignant tumor due to uncontrolled growth, division and replication of cells. This, if left untreated often leads to spread of these cells to nearby tissues, lymph nodes and even to other organs of the body (a phenomenon called metastasis) and cause fatal consequences. 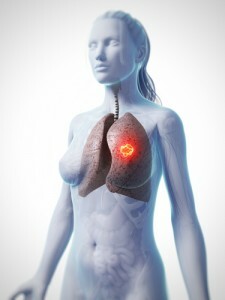 Lung cancer normally begins with the epithelial cells lining the air passages, which get affected leading to primary cancers or carcinomas (a term given specifically to cancers arising from epithelial cells, originating from the ectodermal or endodermal layers of the germ cells during development of the embryo, which line most cavities and outer surfaces of the organs in the human body). Two main types of carcinomas which constitute the term ‘lung cancer’ — namely Small Cell Lung Carcinoma (SCLC) and Non Small Cell Lung Carcinoma (NSCLC). SCLC, also known as ‘oat cell carcinoma’, is an aggressive form of lung cancer which arises from the neuroendocrine cells (cells involved in release of endocrine hormones on reception of neuronal input in the form of neurotransmitters from nerve cells) of the lungs and manifests itself with the formation of a neoplasm (an abnormally divided mass of cells forming a tumor, with the cells having a faster growth rate compared to normal cells) with cells which are smaller than normal with hardly any cytoplasm. A common hypothesis for this is the failure of the mechanism which controls the size of cells. If detected in its earlier stages, radiation and chemotherapy are used in combination to treat the same as SCLC is very sensitive to chemotherapy. 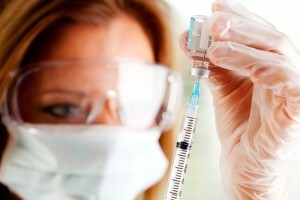 In its late stages, only chemotherapy is considered as a suitable treatment option. Arising from neuroendocrine cells, the SCLCs might produce ectopic (abnormal amounts of) hormones like ADH (Anti Diuretic Hormone) and ACTH (Adreno Cortico Trophic Hormone) which lead to several paraneoplastic syndromes in the body (paraneoplastic is a term given to the abnormal immune response generated in response to neoplasms, which might be endocrine, neuromuscular, musculoskeletal, gastrointestinal or renal in nature). Some of these paraneoplastic syndromes include hypercalcemia, Eaton-lambert syndrome and syndrome of inappropriate antidiuretic hormone secretion (SIADH) among others. The most common paraneplastic complication in case of SCLC is SIADH (seen in 15% patients) which deals with the inability of the kidneys to excrete free water, due to dehydration or over hydration, a disturbance in the electrolyte level with the serum sodium levels falling below the normal value of 125 mEq/L. The main reason behind this being excess water reabsorption due to inappropriate secretion of ADH (Vasopressin). This condition is also known as tumor related hyponatremia. (ADH is related to decrease in water excretion and increase in urine osmolarity. Abnormal secretion o ADH increases water retention and reabsorption, leading to reduced water excretion and increases the amount of salts excreted via urine, leading to hyponatremia.) SCLC arises in the peribronchial locations and spreads at distant sites like the mediastinal lymph nodes, liver, bones, adrenal glands and even to the brain on progression to advanced stages. Cigarette smoking and tobacco use has been attributed strongly to SCLC with a poor prognosis in most cases as it is detectable mostly in the advanced stages where it becomes incurable. NSCLC is the most common type of lung cancer which grows and spreads slowly as compared to SCLC. These types of tumors (neoplasms) constitute around 85% of the total cases of lung cancers and are typically any epithelial cell carcinoma apart from SCLC. They are relatively less sensitive as compared to their small cell counterparts, and generally require surgical intervention along with additional doses of chemotherapy given before and after surgery. There are several types of NSCLCs depending on their place of origin. There are three most common forms of NSCLCs, namely Squamous cell carcinoma (originating from the squamous epithelium which lines mostly the central structures of the lung next to the bronchus, also known as epidermoid carcinoma), Large cell carcinoma (fastest growing cancers originating from the larger cells in any part of the lung) and Adenocarcinoma (growing from the cells lining the alveoli, responsible for the production of mucus, and associated with mostly non smokers). The choice of treatment depends on the stage of cancer detected, though most symptoms are insidious and are not detected till the very late stages. Squamous cell carcinoma is more common in men than in women, with the closest correlation to smoking among ll the cancer types. A person with a history of smoking for 1 to 20 years or 20 to 30 years has his risks of developing the disease increased by a factor of 5.5, and it further increases with an increase in the time span for a history of smoking. Large cell carcinoma refers to the development of a heterogeneous group of tumors formed from an array of cells in the lungs, which are larger than those involved in SCLC, with a higher volume of cytoplasm and bigger size. In fact, they are identified as a distinct group of tumors whose characteristics do not match with the typical findings of any other kind of lung carcinoma, and 10% of all lung cancers fall under this category. Adenocarcinomas are the most common type of lung cancer found in people who do not have a smoking history, and is the most common form of NSCLC, accounting for around 40% of the cases. 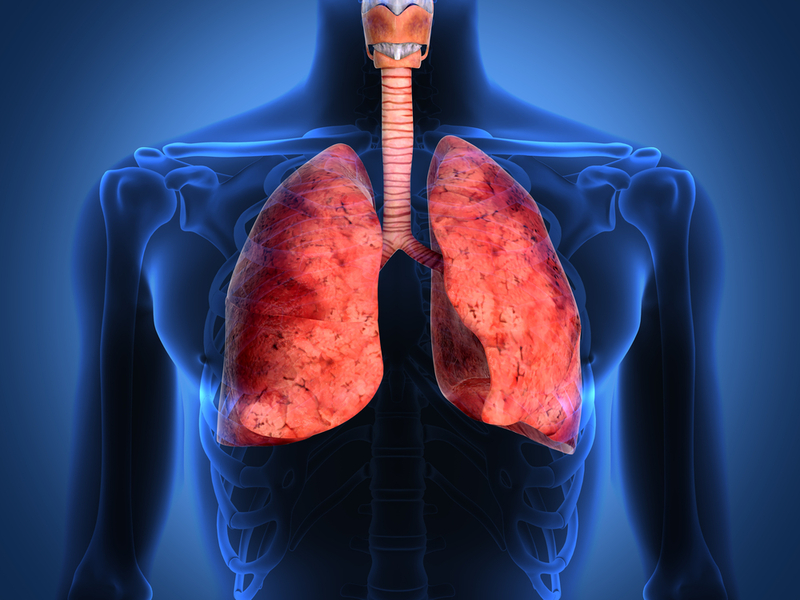 It is seen mostly peripherally within the lungs. A subtype of the same, called bronchoalveolar carcinoma is found more in females than in males who have never smoked and hence have a higher overall survival rate. At times malignant tumors contain both small and non-small cell carcinoma and are collectively referred to as Combined Small Cell Lung Carcinoma (CSCLC). Other less commonly found cancers include pleomorphic, carcinoid tumor, salivary gland carcinoma, and unclassified carcinoma. Tobacco smoking contributes to around 90% cases of lung cancers whereas 10 to 15% are found in non-smokers as a combination of several risk factors. It is a very dreaded malady throughout the world and is the second most common malignancy among both men and women in the United States, and is the leading cause of deaths among both sexes worldwide. 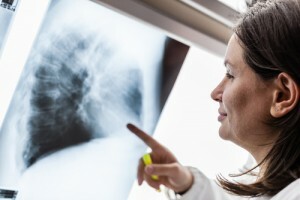 Several imaging techniques can be used to detect lung cancer like chest radiographs, computed tomography scans and bronchoscopies, along with biopsies of lung tissues to confirm the same. On staging and assessing the severity of the condition, either one of chemotherapy, radiotherapy or surgical intervention is resorted upon. Combination therapy is also employed when needed. Lung cancer is the most common malignancy with highest incidence and mortality rates in men and the third highest in terms of incidence and second highest in terms of mortality, after breast cancer, in women. The most common age group of men and women prone to development of lung cancer is 50 years or more, with a long history of cigarette smoking. In fact, before cigarette smoking was taken up by people as back as in the year 1761, lung cancer was not identified as a disease. The number of cases of lung cancer, have increased over the past years, especially in the developing world because of adaptation to urbanized lifestyles initially practiced only in the west. Saying that, however, the highest number of cases are still seen in the developed countries, though the rates have fallen comparatively. According to data from the World Health Organization (WHO), around 1.4 million deaths occur worldwide on an annual basis due to lung cancer. The rates of incidence have been on the decline in men from 1980 and an increasing number of cases have been seen in women over the past 20 years. In 2012, there were around 1.82 million cases reported globally and 1.56 million deaths due to the same. This represented a fifth of the total number of deaths from all kinds of cancers, worldwide. As far as data for the current year 2014, is concerned, around 224,210 new cases have been reported in the United States alone, along with 159,260 deaths being registered. 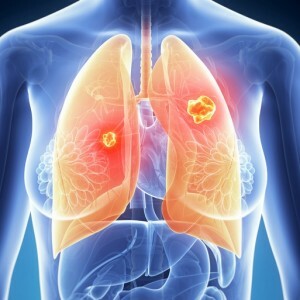 On co paring the trends of incidence of lung cancer among men and women, according to a report by the American Cancer Society, there has been a decrease among that in men from 116,090 in 2009 to 116,000 in 2014, but an increase in women, from 103,350 in 2009 to 108,210 in 2014. Lung cancer deaths are highest among women in the United States. In the USA, the lifetime risks of developing lung cancer among men and women are 8% and 6% respectively. Worldwide, lung cancer contributes to 13% of the total cancer burden, with the highest mortality rates being in the industrialized countries like North America and Europe, though the rates in the United States, Canada, Australia and the United Kingdom have decreased comparatively. The rates of mortality have been highest in men in Eastern and Southern Europe, whereas it has been seen to be increasing rapidly among women in Western and Northern Europe. The number of cases in developing countries like China, Korea, South East Asia and Africa are lower, though urbanization of countries like India and China has lead to an increase in the number of expected cases in the upcoming years. Until the age of 39, there remains a very low chance of developing lung cancer. The maximum risk of developing lung cancer lies among people aged between 50 to 70 years, with the risk remaining higher in men aged above 40 years, all with a history of smoking. For SCLC, the median age group with the highest rates of incidence is between 60 to 80 years. If considered on the basis of ethnicity, the rates of incidence of lung cancer among African American men is around 45% more than in white men, with the rates being the same among both groups in women. Smoking: The maximum risk of cancer and cancer related complications arise in smokers. Cigarette smoke consists of around 7000 chemicals out of which 250 are known to be harmful. Among these 250 known harmful substances, 73 are known carcinogens which have the maximum potential to cause DNA related damage. Some of these carcinogens include Arsenic, Benzene, Vinyl Chloride, Benzopyrone, Ethylene Dioxide, Cadmium, Polonium 210, Nickel, 1,3-Butadiene, Chromium, Toluene and Formaldehyde among others. Smoking accounts for 90% of the cases of lung cancer, with 78% chances being in favor of men and 90% being in favor of women. The development of lung cancer is related to the number of cigarettes smoked in a day, the age of the smoker, duration of smoking years and the amount of nicotine and tar present in the cigarettes. Theories off late have suggested the difference in susceptibility to carcinogenesis from tobacco smoking in men and women, mainly because of a difference in the DNA repair mechanism of both sexes, and that women are more prone to development of adenocarcinomas, and for every stage they live longer than men. Epidemiological studies have shown a decrease in the prevalence of active smokers in the United States, with the data from 2012 showing a total of 42.1 million smokers, a decline in the prevalence from 20.9% to 18.1%. However, there is an increase in the prevalence of smokers in developing countries like China, with a shocking figure of 320 million. The risk of getting lung cancer however lowers as one quits smoking and depends on the time span as well. The risk remains higher during the first 10 years after a person has stopped smoking and then starts decreasing by 2 fold till about 30 years of smoking cessation. Also, it has been shown from studies that persistent smokers have a 16 fold higher risk of developing lung cancer than non-persistent ones, and that if they start smoking by the age of 16 years, the risk doubles itself. Smoking accounts for 98% of the cases of SCLC. Not only lung cancer, but smoking has been referred to be the leading cause of all kinds of cancer related deaths, like those of the throat, mouth, larynx, oesophagus, cervix, prostrate and breast. Awareness and cessation of smoking is the ideal way to combat against the deadly disease. Passive Smoking: Though 90% of the cases of lung cancer are due to smoking tobacco and cigarettes, there are a further 10-15% cases which do not account for cases of active smoking. Passive smoking, also referred to as second hand smoking, is also a notable factor contributing to development of lung cancer. Passive smoking refers to smoke inhaled by a person who is not smoking himself, but is in the close proximity of a smoker, which makes him prone to inhaling the smoke breathed out by the former for each drag of the cigarette. The main chemicals which are inhaled as a result of this include N -nitrosamines and aromatic polycyclic hydrocarbons, which are found in the urinary analysis of passive smokers, and constitute about 1 to 5% of the amount present in that of active smokers. Around 25% of the cases which are not accountable for active smoking, are due to passive smoking. Countries like the United Kingdom and the United States have an increased risk of developing lung cancer due to passive smoking. Studies suggest that a person who lives with a smoker is at a 20 to 30% risk of developing cancer due to passive smoking, whereas someone who works with an active smoker has a risk of 16 to 19%. According to the US Environmental Protection Agency, passive smoking has been categorized as a potential equivalent of carcinogen and as many as 3000 cases of lung cancer have been attributed solely to passive smoking. The alarming increase in numbers has lead to rules restraining people from smoking in public places. Genetics: It has also been seen that 8 to 14% of the cases of non-smoking lung cancers come from genetic causes and inherited factors in the family. Mutations of genes responsible for tumor suppression and activation of oncogenes, both contribute to the development of lung cancers due to family history, most of them being adenocarcinomas. A person with a family history of lung cancer has his risk of developing the same, increased by a factor of 2.4. Studies have shown that polymorphisms in chromosomes 5, 6 and 15 have contributed to the development of lung cancer in many. Some other genes that have been studied in this regard include K-Ras, an oncogene which gets activated due to mutations leading to uncontrolled cell growth n differentiation, NKX2-1or the Thyroid Transcription factor 1 (TTF-1), a protein which regulates genetic transcription of genes synthesized specifically for the lungs, thyroid gland and the diencephalon and acts as a clinical marker to test for adenocarcinomas, as it helps in sustaining lung cancer cells when mutated, genes responsible for the synthesis of Epidermal Growth Factor Receptor (EGFR), which in turn regulates cell proliferation, apoptosis, angiogenesis, and tumor invasion, when mutated, contribute to the development of NSCLC. Epigenetic changes, which are not hereditary, but are induced due to environmental factors, including methylation of DNA where unwanted, modification of the histone protein that binds the DNA strands and alteration of micro-RNA regulation, have also been studied to contribute to development of lung cancer in individuals. Asbestos: Asbestos, especially the silicate variant, is a known carcinogen and has been shown to contribute to the development of a number of conditions including lung cancer and pulmonary fibrosis among others. In fact, asbestos exposure can increase the risk of development of lung cancer by 5 times. It acts synergistically with tobacco and further worsens situations for people who have a history of smoking and have been exposed to asbestos at any point of life, or during work (occupational hazard). Such is the effect that studies have found that the risk of people having a history of smoking along with asbestos exposure multiplies itself by a factor of 80 or 90 as compared to control populations in epidemiological studies. Radon exposure: Radon is an odorless and colorless gas which is produced as a result of radioactive decay of uranium and radium, and is also the second most popular cause of lung cancer in the United States. It can ionize the genetic material when exposed and cause harmful mutations leading to loss of apoptosis and formation of tumors. It is estimated that for every increase in concentration by 100 Bq/m2, there is an increase in the risk of development of lung cancer by 8 to 16%. This can be due to occupational hazards, as well as natural sources in places like Cornwall in the United Kingdom, where it is present in the soil underneath rocks, with granite as a substratum. Air pollution and combustion: Outdoor air pollution has also been attributed to cause 1-2% of the cases of lung cancer. This is mainly because of exposure to suspended particulate matters which might contain sulphate aerosols and harmful gases like carbon monoxide and nitrogen dioxide, all formed as result of smoke released by industries, or exhaust fumes at traffic signals or as a result of combustion. Household combustion of biomass and burning of coal, wood and charcoal at home for cooking purposes also increases the risk of developing pulmonary complications. It affects around 2.4 billion people globally and is assumed to cause around 1.5% of lung cancer related deaths annually. HIV Infection: HIV infection is also a noted risk factor for people to develop lung cancer. The risk of developing lung cancer is increased by 2 to 11 fold when a person has HIV infection, lung cancer being the most common and most fatal non-AIDS related malady. It is responsible for 16% deaths caused due to HIV-AIDS. The main type of lung cancer caused is adenocarcinoma. Lung cancer for HIV affected patients is only limited to those with a history of smoking over the past. Also, they are comparatively younger than the rest and have a shorter median survival time. Are current smokers or have had a history of active smoking for the past 15 years which is still going on. A low dose Computational Tomography scanning is recommended by the US Preventive Task force, so that the intensity of radiation does not harm people getting screened. However, there are chances of getting false positives as well, which lead to unnecessary tension and anxiety among patients and their families and might lead to unwanted surgeries and reduce the lifespan of a healthy person. Also, older people with co-morbidities cannot be screened by the conventional ways as they do not have the strength to sustain the radiation given during screening processes. The most common condition to be screened for is SCLC, as it is more treatable in comparison to its counterparts and has a possibility of getting completely cured if detected during early stages. SCLC patients are mostly symptomatic, with less than 5% being asymptomatic. The typical signs and symptoms include shortness of breath, cough, bone pain, fatigue, weight loss and neurologic dysfunction (during advanced stages and spread of the disease). On moving to advanced stages, due to metastasis, these tumors reach mediastinal lymph nodes and can cause serious complications like obstruction of the superior vena cava (SVC), compression of the oesophagus, causing dysphagia, and the phrenic nerve, leading to hemi-diaphragm paralysis, obstruction of major airways and compression of the laryngeal nerve leading to hoarseness of voice. Still distant spread of the tumor to the brain and spinal cord can lead to severe neurologic dysfunction causing severe headache, photophobia, blurred vision and slurred speech, nausea, vomiting and mental confusion. On the other hand, NSCLC is mostly an insidious disease with no detectable symptoms until the very late and advanced stages. 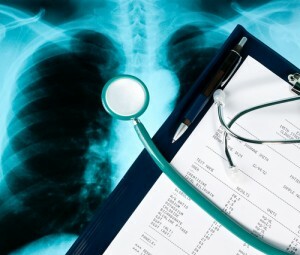 In a mere 7 to 10% of the symptomatic patients, a tumor is detected during a chest x-ray examination, out of which only 20% have the disease in a localized position, 25% of them have it spread towards the lymph nodes and the remaining 55% at advanced stages, having spread to other organs as well. Non specific symptoms include severe cough along with blood tinged sputum in most cases, bronchial obstruction and complications like pneumonia, effusion, etc. Spread to the mediastinal lymph nodes indicates blocking of the upper airways, hoarseness, wheezing, pericardial palpitations and esophageal compressions. Spread to brain and distant organs leads to extreme conditions like altered mental status, weight loss, weakness of the limbs, confusion and irritation, nausea, thromboembolism, boe pain and spinal cord impingement. The first step towards diagnosis of lung cancer is performing a chest radiograph where the position of the tumor can be detected, along with signs of spread to localized or distant organs and any other evidences of pleural effusion or consolidation of the lung can also be traced. A physical examination of the patient and recollection of smoking history and family history of lung cancers aids in proceeding with the diagnosis. A computed Tomography scanning (CT Scan) is a confirmatory imaging test which helps in zeroing in on treatment regimens. Final confirmation comes with a biopsy report or a histologic examination of the lung tissue. It is to be remembered that just a mere presence of a lump in the chest radiograph is not sufficient to prove lung cancer, and differential diagnosis for conditions like bacterial and viral pneumonia, tuberculosis,bronchitis, and COPD among others, needs to be done. Magnetic Resonance Imaging (MRI) is necessary when a spinal cord compression is suspected. Positron Emission Tomography has evolved as a very strong and specific tool to detect spread of the tumor to nearby lymph nodes or distant organs, as compared to CT scanning. On suggesting a possibility of lung cancer from all these tests, a direct imaging of the lungs is done with the help of bronchoscopy which helps in determining the exact level of airway obstruction, and helps in determining the exact location to collect biopsy samples. Additional blood and sputum culture tests are done to rule out any possibilities of bacterial or viral infections. Bone scintigraphy is another technique to detect the spread of the cancer to the bones. Lung cancer staging is an important way to assess the extent of spread and severity of the disease and proceed with treatment options. 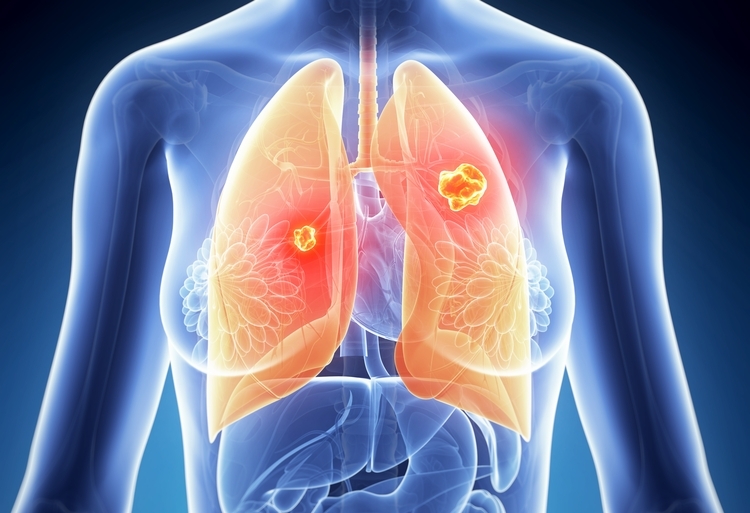 The stages of lung cancer denote whether it is a benign tumor or a malignant one, if so, whether it is limited to the lungs or the mediastinal lymph nodes, or it has spread to other parts of the body as well. The stages are generally denoted by roman letters starting from 0 denoting non-invasive cancers which are limited to their place of origin, to IV which denotes a highly aggressive and invasive nature of cancer that has spread to other healthy organs. Stage 0 denotes ‘in situ’ growth of the tumor, which suggests that the tumor is in place and can be treated easily, as it has not spread to any other location. Stage I, which denotes that the tumor has reached a particular size but not spread to any lymph node. It is divided into two parts IA, denoting the size of the tumor to be around 3cm wide, and IB denoting a larger size, but smaller than 5cm in width. Stage II, also divided into two stages; IIA, denoting the tumor which is larger than 5cm but smaller than 7cm in size that has not spread to any nearby lymph node, or a tumor smaller than 5cm which has spread to the nearby lymph nodes, and IIB which denotes a tumor larger than 7cm in size which has not spread to nearby lymph nodes despite being of a considerable size, or a tumor which is larger than 5cm but smaller than 7cm which has shown signs of invasion to nearby lymph nodes. Stage III denotes a high degree of invasion to nearby lymph nodes and might have spread beyond the lungs into the chest or even to the lymph nodes near the centre of the chest which are outside the lungs. 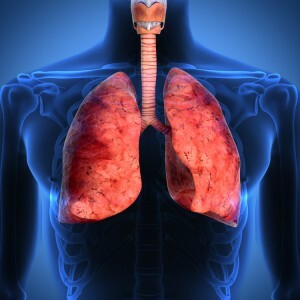 This stage is also denoted by two sub stages IIIA and IIIB, depending on the severity and spread to distant places within or outside the lungs, but not to different organs. Stage IV is the most severe stage of the disease where the tumor spreads to distant organs and fluids surrounding the lungs and the heart, through bloodstream. The various organs where the tumor spreads to, include the brain, spinal cord, bones, liver and adrenal glands. Stage IVA denotes spread to organs within the chest and stage IVB denotes spread to organs beyond the chest, at distant sites. Tumor size, denoted by the letter T. Based on the size of the tumor it is graded as TX, T0, T1, T2, and so forth with further subdivisions a and b for each number, denoting limits of dimension. Lymph node involvement, denoted by N. The same denominations follow, NX, N0, N1, N2 and so forth, with similar subdivisions to denote the extent of spread of the tumors to different lymph nodes like ipsilateral peribronchial or ipsilateral hilar lymph nodes and intra-pulmonary lymph nodes. Metastasis, denoted by the letter M, and expressed as MX, M0 and M1 with subdivisions a and b denoting spread to different lobes within the lungs and the thoracic cavity o distant spread to extrathoracic organs as well. In all the above cases, X denotes no trace of cancer or lymph node involvement or metastasis, 0 denotes no sign of primary tumor, no involvement of distant lymph nodes or no metastasis. The numbers 1,2 and so on denote the levels of severity in each case. Normally, SCLC is a more approachable option when it comes to ‘treating’ and ‘curing’ the condition, as it involves smaller cells and is sensitive to chemotherapy and radiation. Extensive stages of the disease however need surgical intervention as well. The most common methods to treat SCLC include a platinum based chemotherapeutic regime along with a thoracic radiation therapy. Combination chemotherapy is used for both initial and advanced stages of the disease, with the most common combinations being cisplatin/etoposide (PE), cisplatin/irinotecan (IP), carboplatin/etoposide, and carboplatin/irinotecan. It has been seen that though all combinations have yielded good results in reducing the mortality of SCLC, PE has proved to be the best with a lower risk of toxicity as compared to the other combinations. Dosage of the same depends on the severity of the condition with 4 to 6 cycles being the ideal for most patients. However, intensity of the same might vary with reductions in time between cycles. Thoracic radiotherapy is recommended for the limited stage disease with concurrent chemotherapy. Prophylactic cranial irradiation (PCI) is another recommended practice for all forms of SCLC. In case of brain metastasis, a high dose of corticosteroids (e.g. : intravenous [IV] dexamethasone 10 mg initially, followed by an IV or oral [PO] dose of 4-6 mg q6h) along with whole brain radiation therapy is recommended. Surgical resection might be necessary in a few cases. In case of NSCLC, surgical intervention is the most common mode of treatment for stages I to IIIA, and even though the cancer is resected after the surgery, there is a high risk of relapse of the same and hence adjuvant chemotherapy is recommended in most cases. For patients with a more severe condition (Stage IIIB or IV), they are given an option between surgery and chemotherapy. As long as the tumor is localized and has not spread to any other organ, it is comparatively easier for the surgeon to scoop out the affected site with the help of lobectomy. This is most common for stage I and II of NSCLC. For stage III, the choice of surgery remains controversial as the tumor is already starting to spread to nearby organs and lymph nodes Some other commonly used surgical procedures include pneumectomy, segmentectomy or wedge resection, mediastinal lymphadenectomy or the minimally invasive video assisted thoracoscopic surgery. This is the most convenient among all surgical procedures as it is less painful, better tolerated by the older population, reduces morbidity and mortality considerably and has a median survival rate of at least 5 years after surgery. Though chemotherapy is not much of use in cases of NSCLC, in 30 to 35% cases, where resection on the tumor has been successful surgically, a dose of adjuvant chemotherapy and at times, radiotherapy is recommended. One should consult their oncologist and get a thorough examination done before proceeding for a treatment regime. Apart from all this, a healthy diet high in fruits and vegetables and dietary fibre is necessary to combat the harmful effects of carcinogens which cause recurring troubles in cancer patients. Hence it is a combination of early screening, diagnosis, a healthy lifestyle and proper choice of treatment regime which helps in increasing the life span of the patient (until a definite ‘cure’ is discovered).